* 마루이 글록18C 등을 커스텀할 수 있는 알루미늄 CNC 슬라이드 & 아웃바렐세트입니다. 우수한 마루이 글록18C 용 옵션입니다. 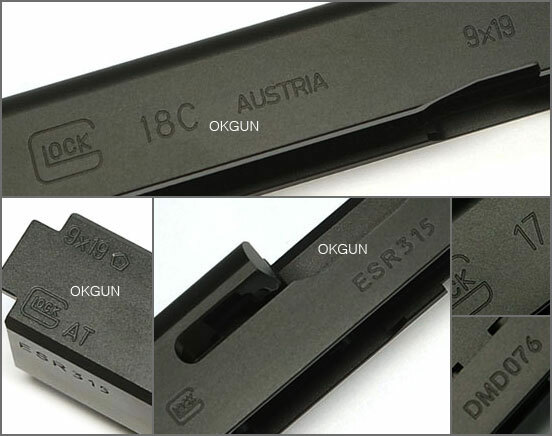 High quality CNC slide set from GunsModify for the Marui G18C, new for 2016.
trademarks on slide and barrel.
" 17 " 과 " DMD076 " 에서만 각인 차이가 있습니다.